In here, I want to talk about the things you need to consider before starting a blog. … And not all of that information was correct. But since 2015 I gained a lot of knowledge which I’m happy to share with you here. Are You Serious About Your Online Business? Before you begin your online journey, it is important to know your options and to make correct decisions. The first thing you need to decide on is whether you plan to invest in the development of your blog. are you willing to pay money to freelancers to write articles for you? are you willing to invest in the promotion of your blog? are you willing to pay for the design of your blog? are you willing to pay money for the training programs that teach you how to build a profitable website (successful online business)? You need to decide whether you are willing to invest in a number of things which will make you life easier, or whether you plan to do everything by yourself. If you say “yes” to the above questions, then set for yourself an amount you can afford to invest at the early stage of your blog development. For sure you can get rolling online with $0 but inevitably you’ll have to make at least some investment (for example, buying a domain name for approximately $13-15/year). 2. Will You Be “Open” to the World? The second and important thing to decide on is whether you want to be open to the whole online world. Will you talk about yourself on your blog? Will you show your face and be sort of a public figure? Will you share your views and position on the world? Will you share your goals, your aspirations, your desires, and dreams? In other words, will your blog be “saturated” with your personality? The problem with many websites/blogs is that they are not unique in a sense that most websites are simply websites, without the author being open out there to the world. If you want to have an audience and to build a relationship with readers who then become your loyal subscribers, then you need to be completely open with them. Your audience is your traffic. Google’s trust means having your blog at the TOP in the search engine. Being at the TOP means having even more traffic and, therefore, more potential income ($$$). Eventually, your name and your blog become a BRAND. When the search engines see that YOU (and not the information you post on your blog) are being searched, then it greatly improves your position online. Having your own fans is important. Imagine a situation when someone had a Youtube channel and then suddenly something happened, and this person’s channel was banned. Loss of income through the Youtube videos. But with your loyal fans, you are not afraid to start another project and have a ready list of people who are ready to follow you further. And finally, advertisers are drawn to webmasters/bloggers who have a brand. No one wants to pay a lot of money for advertisements to websites with possibly useful content, yet with a lack of audience/traffic and which have no “face”. Why do you think there are a lot of famous people, actors, and singers in advertisements? Because advertisers know that if Cristiano Ronaldo is promoting Head&Shoulders shampoo to the whole country, then this shampoo will sell better. Because he has a huge amount of fans, he has authority. If you will be open to the world, your fans, your advertisers, and search engines will love you. According to very popular bloggers I’ve learned from, showing yourself is 40% of your online success. But please understand that it does not mean writing articles about how you drank coffee in the morning or how you took a nice bath. Think about the way you will stand out among other blogs to build your brand. You need to come up with some unique idea that will be interesting to people. Have you read the book “Edgy Conversations: How Ordinary People Can Achieve Outrageous Success“? The main idea of the book is that if you want to achieve great success then you should not be like everyone else. Find something that will make you stand out in the online world! 3. Why Do You Need a Blog? The third thing you need to decide on is what do you need a blog for? I assume that if you started thinking about creating a blog then it is for the purpose of making money online. What you need to decide is what exactly do you plan to make money on? Which will be your way to make money with your blog? Do you plan to earn money through affiliate programs, through creating your own online products, banners, contextual ads etc? What I am trying to say is that when starting your online business, you will learn a lot about your niche – so you will sell/deliver your knowledge to your audience. You are or you will become an expert in what you do and you will teach others about it. Even though I’ve been at it for over 3 years, I don’t consider myself an expert in the full sense of the word. I constantly learn about online business/blogging. When I share my knowledge with you here on my blog, it is in my hopes that this way you and I together achieve success in online business and then eventually become financially free. 4. Who Are You Promoting? The fourth thing to focus on is who are you going to promote? Are you going to promote yourself or will you promote others and their products through affiliate programs? One option is that you come to online business, you start from scratch and solely focus on promoting your own model and your own information products. Another option is that you focus on building quality content and driving traffic while promoting the products of other people. The difference is that when you promote yourself you are the one who is being paid for your products in full; when you promote others through affiliate programs, other people receive money and you receive commissions. Right now you just need to make a decision. 5. What For Did You Come to the Internet? You need to decide whether you are going to be serious about your online business and stick to it. If you still do not have it, create a PayPal account for money transfers. I strongly recommend you open a new Gmail account with a 2-step verification. This is important so that your e-mail does not get hacked and so that you always have access to it. Password recovery will only be done via your cell phone. Create a new account and you will have a clean e-mail to work with. Now, if you are already serious about building your online business, then here is a homework for you. Whether you will be open to the world. Will you promote yourself or others? Whether you will be serious about building your online business (for real). It’s crucial that you decide about these 5 points before you move on to building your own website and ultimately making money online as a blogger. Very good information you have provided. Written perfectly for beginners who are willing to start their own website/blog. Even though you are just starting out you’ve done an excellent work in presenting your knowledge. Thanks for sharing your opinion with me! It is my pleasure to be helpful and to share the knowledge I gained for the last few months. I know online business/blogging may be challenging at first so that’s why I decided to start this blog specifically designed for beginners. 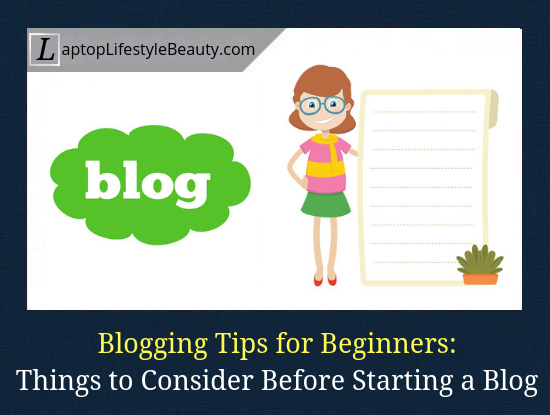 Very informative and great advice on how to start a blog. I didn’t realise how much came into the picture when thinking about beginning a blog. You’ve done very well with this article in showing how knowledgeable you are on the subject. You also lay everything out in such an appealing way that I wanted to continue reading. And that is an important thing! I enjoyed reading this information and your blog overall. Thank you for your kind words. I am happy to hear that the content of the blog post was easy to digest and was useful to you! Aiming to share content with high quality, so that all the readers find this blog’s information useful and interesting. Hi Zarina, I like the way you write. Regarding your starting questions my answers are no, I do all it all myself. In number 2, this was a barrier for me indeed. It was difficult to come out publicly. As for YouTube videos, well this is 0 at my side, I do not plan to do this. Have to find other ways, I am from the stone age. I do not even have a cell phone which you mentioned in number 4. Overall, I found this a useful information – it seems that your blog will be extremely useful for beginners in blogging. I look forward to reading more articles of yours. Keep up the good work! Thank you. I always liked to write and I think I’ve made a great decision in creating a blog, not only in a sense that it eventually may bring a passive income, but also in a sense of fulfilling the creative side of me. In fact, I plan to write a book as well. As for coming out publicly, this is an extremely important part. If you want people to trust you, you have to show your face. You have to be open with them! I explained this aspect in the blog post with all the reasons why it is important. Youtube is optional for newbies in online business – I probably would have some instructional videos or something but it is not going to be the main thing I focus on. At least not for now. Thank you for your kind words, and I hope to see you around. It is such a pleasure to hear that even at the early stage of blog development, it is already useful to newbies in online business/blogging! I’ve learned a lot throughout the past few months, and it is my absolute pleasure to share my knowledge with others! I truly hope that you find my future blog posts as useful as this one. Have just started a new blog myself and I am very new to it. Love the information here and it is very easy to navigate on your blog. Totally agree with putting yourself out there. Your information is perfect for a newbie like me and I look forward to learning more by visiting your blogs. I am happy to hear that you find my content useful and I hope all of the information you find here will be helpful for your blog as well! I’ve got a lot to share and I look forward to sharing my knowledge with the online world. Very well written and super easy to understand info on why blogging is important and especially making it clear that people need to put some real planning into it before they just jump in with both feet so that they can obtain the results they're looking for. Well done Zarina! The only thing I see missing here at the end of your article is any advice or recommendations on "What their next steps should be" or "Where they can go to obtain further information and/or education. Could you reply back and let me know what your opinions/recommendations/next steps/etc. would be for someone at the beginning (deciding) stages of starting a blog? Real planning is indeed important before starting a blog! Well, in this case, it is more about making particular decisions before actually starting a blog. Recently I spoke with one of the new bloggers and he said that before publishing his first website, he decided to write 20+ blog posts, so that he's weeks ahead before submitting a new post. And that is very wise, as being regular with publishing articles is extremely important for Google. Myself I didn't do that and I regret I didn't prepare a few draft blog posts! For the past month, I was busy with certain real life things and didn't have time to post here. Thank you for your kind words and for the valuable feedback! After your comment, I did add a comment about becoming a free starter member at WA online business community, which is an amazing one for all the newbies out there. I am a part of this community myself and I know how much support and value it brings. Thanks for stopping by and I hope to see you around, JD! Those of you who didn't like writing essays and stuff in school… Writing posts for your own website is nothing like that. I never liked writing in school and that's why I kept away from blogging, but eventually I took the step and I really like writing articles for my website. Yes, writing essays and the like has nothing to do with blogging. Luckily, we get to choose our own style of writing. Although grammar and spelling should also be present but overall, bloggers get to choose to write the way they are most comfortable with. Personally, I must be honest, I always liked writing and recently my mother told me that when I was little I wanted to be a writer 🙂 I guess, I ended up following my heart and my passion! I actually learned something here! I often come across articles that do not share the bigger picture and I didn’t think about these 5 things you’ve mentioned. I would think the first step in starting a blog would be just creating a website without any particular planning. It got me thinking! Well written and informative. Zarina, you know your stuff! Thanks……I needed that! Even though I called my post as "The First Step in Starting a Blog", it really is more about the steps/decisions to be taken BEFORE starting a blog. I did notice that many people don't see the "bigger" picture as you said, and I wanted to share about the things that must be considered before starting a blog. The first one – about investing money – is the most important one. Even though it is possible to build a website for free (see my other post: The Best Way to Build a Free Website), still there are things that you would need to invest money on. Also, I tend to notice that people prefer to hide their face, for whatever reasons, and this is not the best approach. If you want to be successful online, you must be open to the world, so that people trust you. It's all about building a high-trust relationship. Anyway, I am happy you enjoyed my post! I hope you will find a lot of informative material on my blog.